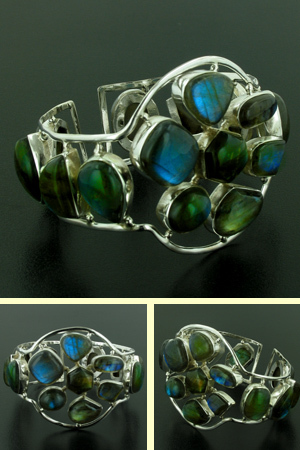 Labradorite cuff bracelet set in sterling silver. 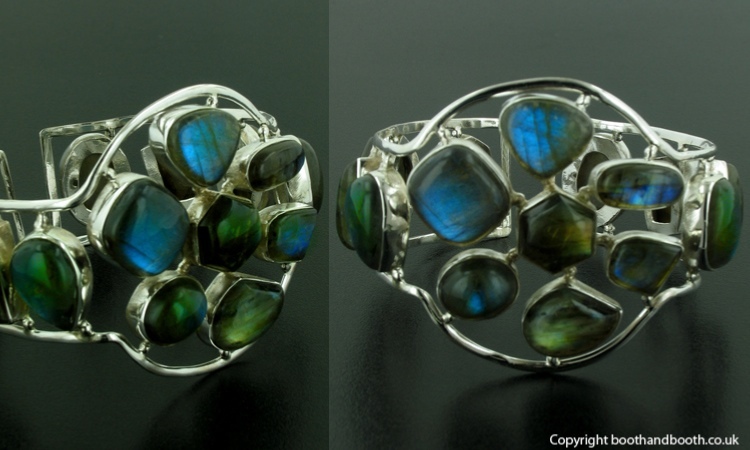 Each of these beautiful labradorite gemstones is hand set into this wonderful unique labradorite bracelet. The labradorites gleam with the full array of characteristic colours - blues, greens, turquoise, violet, gold and amber. A statement piece, this large cuff can be worn at the wrist or higher up the arm to suit your individual style and sleeve length. Open at the back, the cuff will adjust to fit any wrist size. 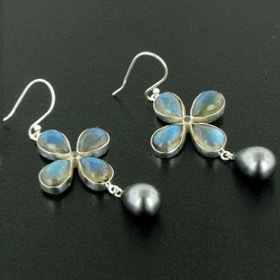 See our collection of labradorite earrings, labradorite necklaces and labradorite pendants for a coordinating set. 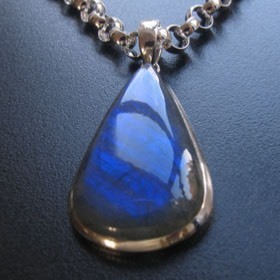 If you like labradorite you may also like our moonstone jewellery!